Roast Turkey Makes a Great Holiday Meal. Follow My Simple Instructions for a Delicious Turkey. Roast turkey starts with a fresh or thawed bird, unless the label says it's safe to cook from frozen. 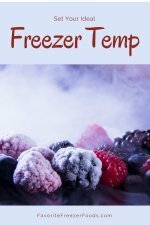 Thawing can be done in the fridge or in a cold water bath. When your ready to roast your turkey remove the plastic bag it came in and discard. Remove the giblets and set aside or put into a small pan with some water and a touch of salt to make extra broth if you don’t plan it eat them. You do not need to wash or rinse your turkey. Do you wash a chicken, or a T-bone steak? Where did this idea come from anyway? It does one thing very well; spread germs around into the sink and over the countertops. Just unwrap it and put it in the pan, add seasoning and it's ready to roast. Pick a pan that is at least 3 inches deep to catch all the dripping. A roasting rack is optional and can help get a more even browning on your turkey. A solid sturdy pan is ideal, a disposable aluminum pan might buckle under the weight of the turkey. If you have to use a flimsy pan put a cookie sheet under it and move the turkey using the cook sheet not the pan, that way the pan is just there to hold in the liquids. If your pan doesn’t have a lid you can cover the turkey in aluminum foil. Covering the turkey helps improves heat circulation, keeps the moisture in and keeps your oven cleaner. I leave my turkey covered until it comes out of the oven. You can remove the cover during the last hour of cooking time to help the turkey brown. Preheat the oven to 325F, 162C. Season your turkey next. 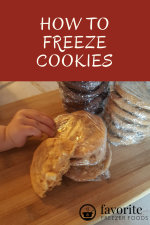 For my favorite turkey recipe click here. Do not roast turkey from raw unless the label says you can. Generally stuffed turkeys can be cooked from frozen while unstuffed can not, but to be sure read the package or check the producers website. Never partially roast a turkey to be refrigerated and finished cooking later. Basting helps turkey brown more evenly, but increases cooking time by decreasing the temp in the oven. 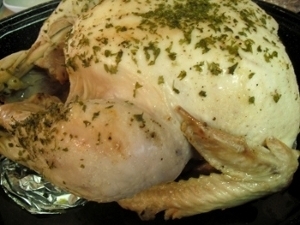 Basting does not improve flavor or moisture of the turkey but it can make the skin more crispy. Thus it is completely optional while roasting your turkey. Check to see if your turkey is done about 3/4s of the way through the suggested cooking time. Pop up thermometers sometimes take too long. The best method is to use a meat thermometer. Insert into thigh without touching the bone, at the thickest point, angled toward the body. You want 165F, 64C. Also check the breast and the center of the stuffing for a stuffed turkey for the same minimum temperate. You might see recipes saying to cook turkey higher but 165F is the temperature recommended by the National Advisory Committee on Microbiological Criteria for Foods (NACMCF) in the US. And overcooking turkey leads to dried out turkey. If your not using a meat thermometer make sure the juices run clear and the leg moves when twisted. The meat also starts to pull away from bone particularly around the leg. Let rest 15-20 minutes to allow juices to redistribute through the meat before carving. Remove the stuffing right away if you have a stuffed bird. These cooking times are for turkey roasted at 325F, 162C. It is not safe to roast a turkey at a lower temperature. Remember roast times are estimates, so use a thermometer and check the turkey after 3/4s of the recommended amount of time has passed. If your using kilograms double the amount of kilograms, it’s not exact but neither is timing when roasting a turkey.